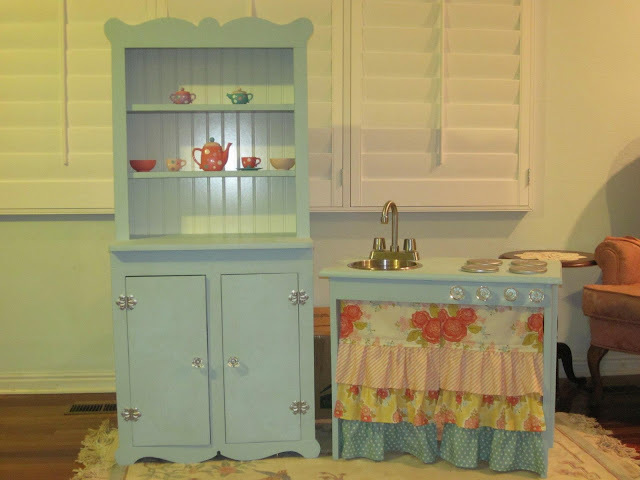 ' The Perfect Play Kitchen - Sisters, What! Is this not the cutest play kitchen ever! our cousin made this for her little ones and I just had to share it on here. 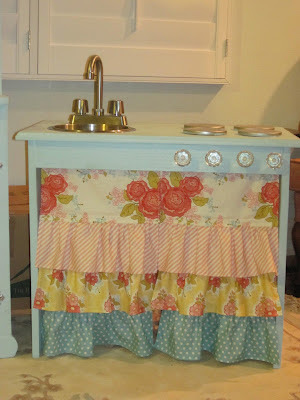 I love the little sink and knobs for the stove. And those curtains are just so perfect! Seriously, so cute! If we ever have a girl, this is a must! Oh for sweet. Thank you for sharing. My little girl would love this!!! Sadly, I wouldn't even begin to know how to create something so adorable!